A funeral is a time to come together to acknowledge a life lived, to remember and share stories, and to say a last goodbye. It is also an important healing step in the grief process. You knew your loved one better than anyone else. Combined with our knowledge and experience, together we'll find the perfect way to honor their life. Choose a funeral service that is right for you. When deciding the type of service to have, you may be guided by your religious beliefs, family traditions, cost concerns, or personal preferences. 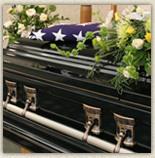 You may choose to have a "traditional" funeral with a casket at our funeral home or your church. Perhaps you will decide to have a memorial gathering at your family's favorite place. We're here to discuss your options and to help you with these decisions. Everyone's life is different. A funeral should be as well. You are encouraged to bring in photographs, play favorite music, and display personal items that reflect hobbies and favorite pastimes. We will work with you to design custom, photo memorial folders. 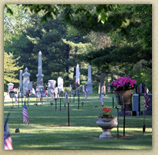 You may choose to have a Memorial Tribute DVD created to be viewed during the visitation and kept as a lasting memory. You, like many others, may be wondering if cremation is right for you. The choice of final disposition is personal. Cremation is only one option. Additional choices are to have earth burial or entombment of a casket, or to have your body donated to medical science. choose us. We have the knowledge, years of experience and our own on-site crematory to be your cremation experts. Trust to us to provide honest, straight forward answers to your questions and to guide you through your options.